Lower back pain (LBP) is experienced by 60 – 80% of the adult population at some stage of their lives. And if you have ever fallen into this statistic, you know that LBP can greatly impact your quality of life. It means that the increasing pressure of life gets even heavier for you, and simple tasks such as cleaning up after the kids, sitting at your desk or driving to work can become a burden. When you are living in your pain body, it makes you grumpy and agitated, and means that you can’t be as productive as you feel you need to be. Your symptoms are the last thing to come when there is a problem, and although you know there could be an underlying dysfunction that is causing your lower back pain, you need results NOW! But the problem is, you don’t like taking pain medication or using toxic creams for pain relief. Over the past 10 years, we have worked with over 5000 clients just like you and over that time we have shared hundreds of tips and tricks that you can use at home to instantly reduce your lower back pain naturally. And we are honored to share them with you today. Gentle heat from a heat pack is a great way to ease LBP easily and effectively. They are also incredibly useful when at work. Simply pop one on your lower back whilst sitting at your computer or purchase one with a Velcro waist and use on the go. Don’t have a heat pack? No problem! Simply put some raw rice in a sock and heat in the microwave for a few minutes. An ancient and potent anti-inflammatory, turmeric is a wonder spice that has been used for centuries to relieve pain and inflammation. Take it in capsule form, cook with it, add it to smoothies or consume as a turmeric latte. 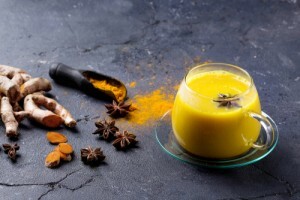 For best results, ensure you are purchasing high quality turmeric from a reputable source. Great for creating a cooling affect on the muscle to reduce pain and inflammation. Apply it directly to your pain area for instant relief. A warm bath is a soothing and enriching way to reduce discomfort but also ease stress and tension that could be contributing to your pain. We love magnesium chloride however Epsom salts are also very effective, just ensure you are drinking lots of water at the same time to avoid dehydration. Boasting many health benefits, hot/cold showers are also great for pain relief. Alternating between hot and cold water while you shower is an easy way to improve blood flow to your lower back. Cold water causes your blood to move to your organs to keep them warm and reduces inflammation. Warm water reverses the effect by causing the blood to move towards the surface of the skin and relaxes the muscles. An excellent, natural, arnica based anti-inflammatory cream that can provide targeted relief from lower back pain. So, there you have it, 6 quick and easy solutions to reduce your lower back pain naturally. However as mentioned above, pain and discomfort is often the LAST sign your body will give you when there is a problem. Which means that if you have experienced lower back pain, there is more than likely dysfunction happening under the surface.